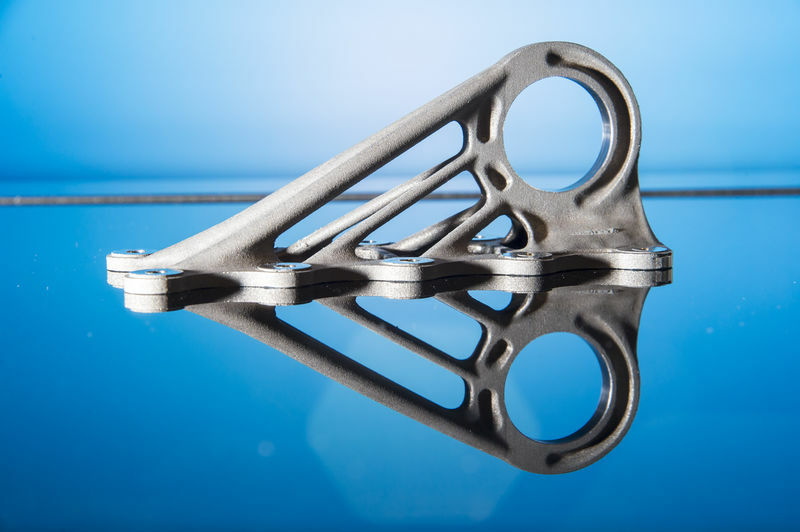 Does die casting technologies and processes still exist in the “era of additive manufacturing”? Yes of course, last market trends are confirming that. Counter to the general development in world trade, global exports from Italy increased by almost 16 percent, and from Switzerland by 4 percent, so that the total value of CEMAFON exports increased by 6 percent overall. The value of the machines exported was up from EUR 377 million in 2015 to EUR 400 million last year. By comparison, the market share of CEMAFON die casting and permanent mould die casting equipment manufacturers increased by 7 percent, giving it around 45 percent of the world market. The world’s largest die casting machine exporter in 2016 was Italy, followed by Japan, China, Switzerland and Germany. More than 80 percent of all NF castings are produced for the transport sector. Die casting processes are used in particular in the lightweight automotive segment. However, serial production in die casting has also proven effective for aluminium components for the aerospace industry (e.g. various housing or components for interior fittings). The aluminium alloys used are particularly valued because they combine precision and strength with maximum weight reduction and therefore efficiency of resources and safety. In sub-segments of the aerospace industry, for example helicopter manufacturing, magnesium alloys are also used due to their even greater potential for lightweight construction (including in the main drive system and gearbox housings). In the field of medical technology devices, the material properties of aluminium and zinc alloys combined with die casting processes are in demand for volume production (e.g. for plinths and swivelling parts of medical equipment, motor casings or protective caps for radiological equipment). Cold chamber die casting machines are used for aluminium and magnesium alloys, hot chamber die casting machines for zinc alloys. Even if the aerospace segment is still a niche market from the perspective of the casting industry as it only offers a small proportion of NF applications, it is in this sector in particular that superlative technological performance is required. And this is where innovations with potential for other industries are born. 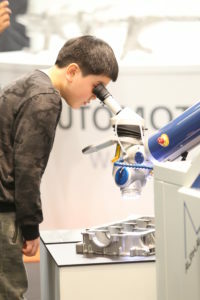 European casting machine manufacturers, for example, are taking part in research projects on the fabrication and use of composite materials. Nevertheless, die cast foundry operators do have a few concerns at present. 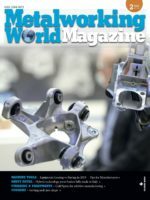 Due to the discussions about the future of the combustion engine in general and the diesel engine in particular, many die casting foundries have to adjust to profound structural changes on the demand side. At present, satisfactory answers are not available for all the questions that arise in this conjunction. At the same time, there are strategic decisions to be taken with a long-term impact on the political arena, OEMs, consumers and also suppliers like die casting foundries. In this context, reliable and robust strategic guidelines from policymakers are called for – but they should not be more than guidelines! Although from a technical perspective, e-mobility is still a long way from being a mature technology, the first results of this development are visible: the electric postal delivery van, a StreetScooter, or the Bosch e-axle including drive unit on the wheels of the vehicle. As electric cars penetrate the market there is also likely to be an increase in the demand for lightweight castings. In this context, die casting offers ideal opportunities and can exploit its capabilities in a lot of applications, whether for optimized components for the control of traditional engines or for structural parts and components for electric drive systems. 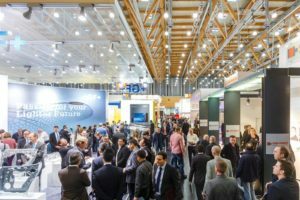 EUROGUSS took place at the Exhibition Centre Nuremberg from 16 to 18 January 2018. With around 600 exhibitors and more than 12,000 visitors it’s the leading trade fair for the entire die casting supply chain, from raw materials through technologies and processes to finished products. An attractive supporting programme featuring the International German Die Casting Congress, a finishing technology pavilion, practical workshops and awards ceremonies for die-casting competitions for aluminium, zinc, and for the first time, magnesium, make EUROGUSS the No. 1 gathering for the European die casting industry. The VDMA specialist associations Foundry Machinery, Metallurgical Plants and Rolling Mills, and Thermo Process Technology have announced the formation of a new joint association, the VDMA Metallurgy Specialist Association. The previous specialist associations are to be specialist sections of the new body. The overall board of VDMA Metallurgy will comprise the chairmen and deputy chairmen of the previous specialist associations. The designated chairman of the board is Dr Ioannis Ioannidis, president and CEO Oskar Frech GmbH & Co KG. Designated deputy chairmen are Dr Christian Bartels-von Varnbüler, president Küttner Group, and Dr Joachim G Wünning, managing director WS Wärmeprozesstechnik GmbH. VDMA Metallurgy represents 180 member companies. The total sales of the metallurgical plant and equipment sectors amount to more than €4.6 billion (2016), with a total workforce of about 24,000 (2016). The sectors represented by the specialist association sold equipment with a total value of €2.3 billion* throughout the world, also in 2016. The share of exports is more than 70 per cent on average. “The newly created platform expresses the joint commitment of companies in the metallurgical plant and equipment sectors to the further development of technologies for the metal production and processing value streams,” said Dr Timo Würz, managing director of VDMA Metallurgy, at the inaugural meeting.